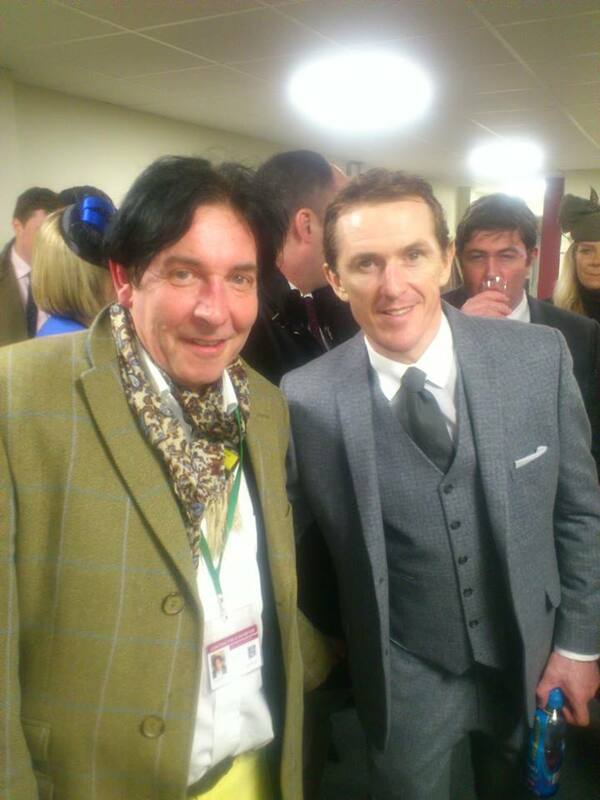 Artist David Dent with AP McCoy at the weighing room party at his last ever Cheltenham Festival . Keep up to date with news and events on our social media. Feel free to add us!